This will be your 'GO TO' mug. 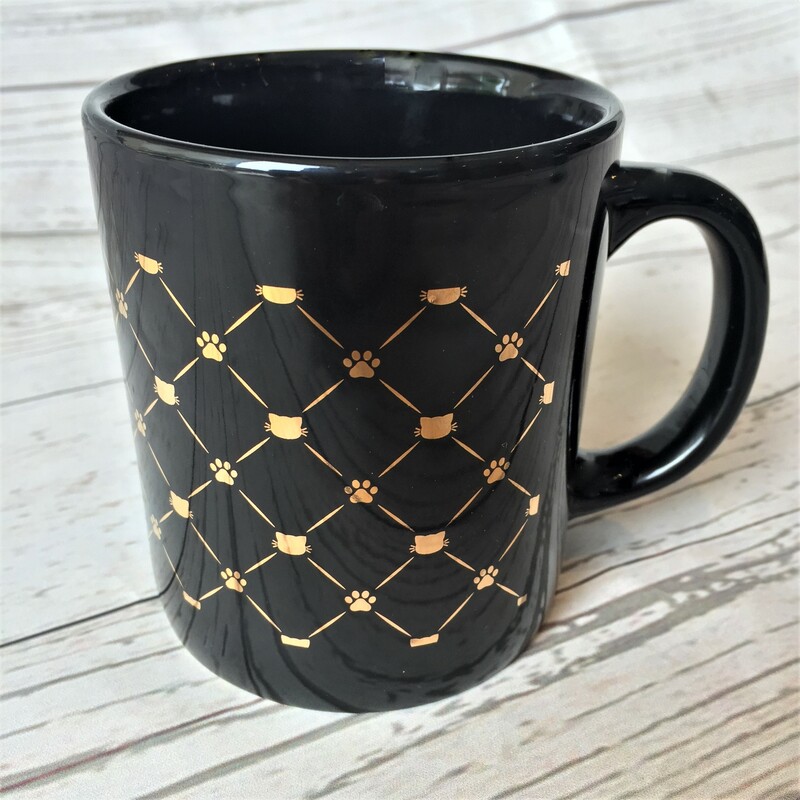 This black with gold effect kitty detail mug was found in our Simply Meowvelous box. It's a My Purrfect Gift Box exclusive item and can be used in the microwave. Dishwasher safe. FREE tea while supplies last.